Make healthy + beautiful nails routine. Are you looking to have your tips and toes pampered to perfection before date night, or as an after-work pick me up? 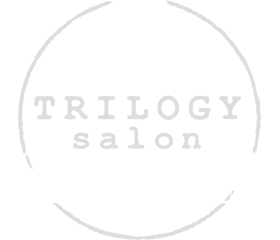 Trilogy Salon's talented nail technicians are skilled in applying Shellac polish – gorgeous, durable, and formulated to last. Variety of Colors + Designs - From tips to toes, we have you covered. Quality Products = Beautiful Results - We use top-quality products to keep your nails healthy. Our inventories are updated regularly to provide exceptional selection. Top Nail Techs - Our knowledgeable nail technicians treat your hands and feet with the utmost care. We will advise you on which products to use in between visits to help maintain beautiful, healthy nails. Clean + Sterilized - We go to great lengths to ensure all tools and equipment are properly cleaned and sterilized. Your nails will be carefully trimmed and filed into the desired shape. A clean warm towel will be wrapped around your hands to allow the oils and moisturizers to penetrate and nourish your skin. 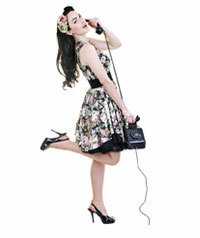 Your nails are painted with your choice of high-quality nail polish or gel polish. A foot file will be used to scrub the bottom of your feet to remove dead skin and calluses. Your lower legs will be massaged with the scrubbing solution to clean and remove dead skin. Your feet are then massaged with moisturizer to become smoother, softer, and healthier. The Shellac System features a base coat, color coat and top coat. Together with the CND UV-lamp, they adhere to the natural nail creating a beautiful finish. Add the shellac service to any of our manicure/pedicure packages. 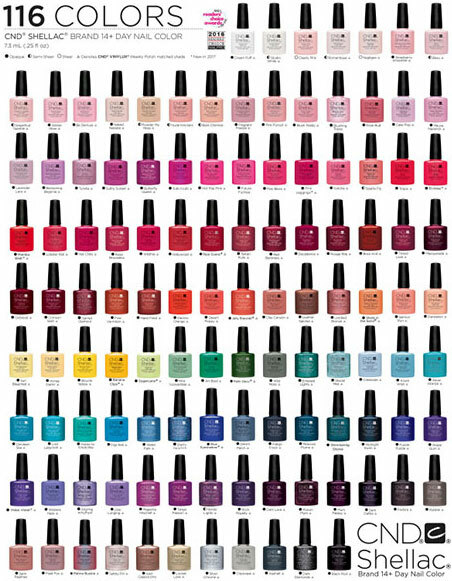 We offer gel polish colors from the renowned brand Shellac by CND. Shellac lasts without chipping up to 14 days and removes within 10 minutes. Are you in love with your recent mani or pedi? Pair your nail treatment with a cut+style to complete your look!